With its compact padding, the backrest of the ID Trim office chair conveys a sense of classic elegance and quality craftsmanship. The sandwich construction with integrated lumbar support provides the comfort of an upholstered backrest while being almost as slim as a mesh backrest – offering an alternative to both of these construction types for office chair backrests. 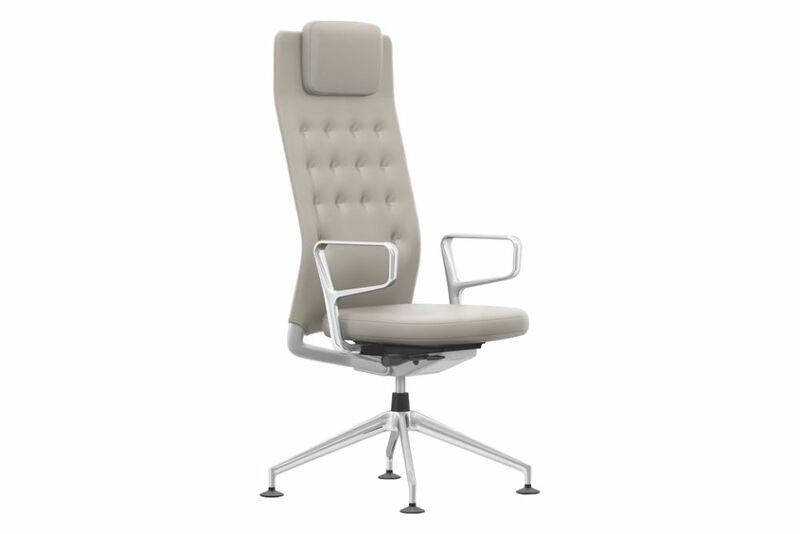 With its high backrest, ID Trim L is an excellent choice for the executive office, offering extra relief from tension in the head and neck. Office swivel chair with 2D or 3D armrests in accordance with EN 1335, Ergonomic Seal of Approval (LGA Nuremberg). The version equipped with the FlowMotion mechanism with forward tilt and seat depth adjustment complies with BS 5459-2 (24-hour test). Seat mechanism: FlowMotion mechanism, lockable in upright sitting position. Seat mechanism matches the frame colour (basic dark or soft grey). Optionally with or without synchronous forward tilt (can be disabled) or seat depth adjustment. Individual adjustment of backrest resistance and forward tilt. Backrest: height-adjustable high backrest in polyamide (basic dark or soft grey) with padded cushion in polyurethane foam. Seat Fabric in woven fabric or 3D spacer fabric. Seat: polyurethane foam upholstery. Optionally available with contoured seat. Seat and Backrest Fabrics in woven fabric or 3D spacer fabric.